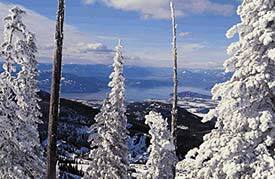 Schweitzer Mountain is a prime vacation spot all year long. 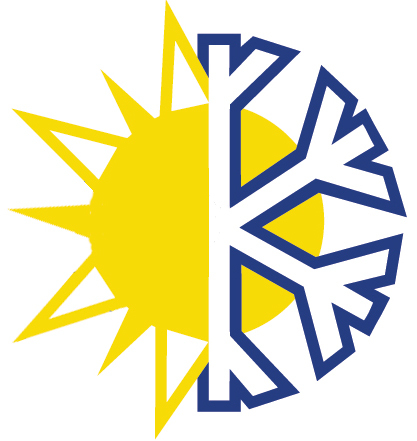 In winter you can downhill or cross country ski, snowshoe or snowmobile. In summer you can hike, horseback ride, bike, take a trail ride or hitch the quad to the top of the mountain to get the best pickins' of the huckleberry season. And the city of Sandpoint is only a short, 9-mile drive down the mountain. Sandpoint in any season is well worth a visit, boasting a four-season climate and fun opportunities for all ages. 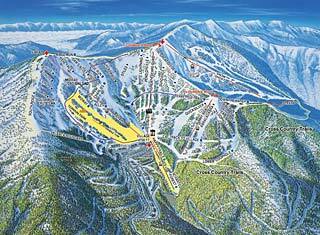 Directions: Schweitzer is a convenient drive away. From I-90 either east or west, take the US-95 exit # 12 in Coeur d'Alene and head north to Sandpoint. When you arrive in Sandpoint, continue North on 95 until the HWY95/HWY200 intersection then take a left to stay on HWY 95 and continue driving until the next stop light (Burger King on corner) and take a left. (Schweitzer Cut off Road) Next at T intersection take a right (North Boyer) continue driving approximately 1/2 mile until you reach the Schweitzer sign (Schweitzer 9 miles to the top). Take a left here and drive 9 miles until you reach the Schweitzer village. Road is very windy. Please watch for deer and other wildlife. We do not have any current pre-built packages for Schweitzer . Enjoy the mountains, the spectacular views and the peace and quiet. Schweitzer's 30 kilometer network of trails has something to offer everyone. Glide through majestic old growth forests, take it easy on the flats or get the blood pumping on some challenging climbs to the peaks of scenic terrain. There are countless options on this scenic network of trails. We thought we would highlight a few of the more popular trails and leave the rest for you to explore and discover on your own. Picnic Point Out and Back This is a lovely trek that will take you through some of Schweitzer's more accessible and scenic terrain. Start at the village trailhead and follow Overland to the GRR trail intersection and turn left. Take GRR out to Picnic Point. Bring your lunch. Overland Trail Loop This loop takes skiers around the perimeter of Schweitzer's Trail system past Picnic Point and back to Schweitzer Village via the cat track short cut. There are numerous "side track trail" opportunities throughout the route. Howling Rock Haul For more of a challenge, take the trek to Howling Rock. The payoff is spectacular with views of Lake Pend Oreille and the surrounding mountains and valleys. 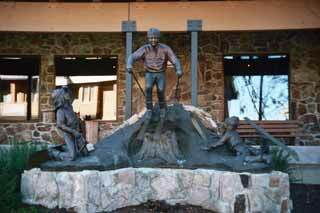 Howling Rock is accessed via the Cloud Walker Trail. Study the trail map and select one of the many routes to the Rock. Want to conquer the bumps? Float effortlessly through the powder? 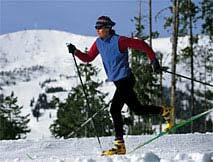 Everyone can benefit from lessons at Schweitzer Mountain. 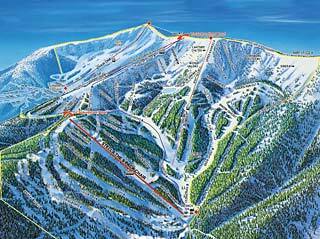 Schweitzer offers lessons and packages for skiers and riders of all skill levels and all ages. Whether aiming to enhance your downhill or cross-country abilities, to become a better boarder or looking to learn a new sport, the coaches at Schweitzer make lessons easy and enjoyable. 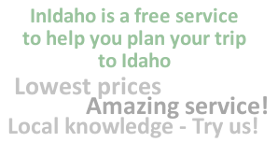 Take a look below at the many programs we offer and then visit us at The Mountain Learning Center or call us at 208-255-3070 and let us assist you in putting together a plan of action tailor made for your goals. All lessons take place in a small group environment allowing more individual attention to each student. Coaches take the time to assess your current ability and help you set and reach reasonable goals. Lift-line privileges maximize class time. Open new territories at Schweitzer's Mountain Learning Center. Enjoy the snowshoe trail throughout Hermit's Hollow and savor the peace and quiet and solitude. 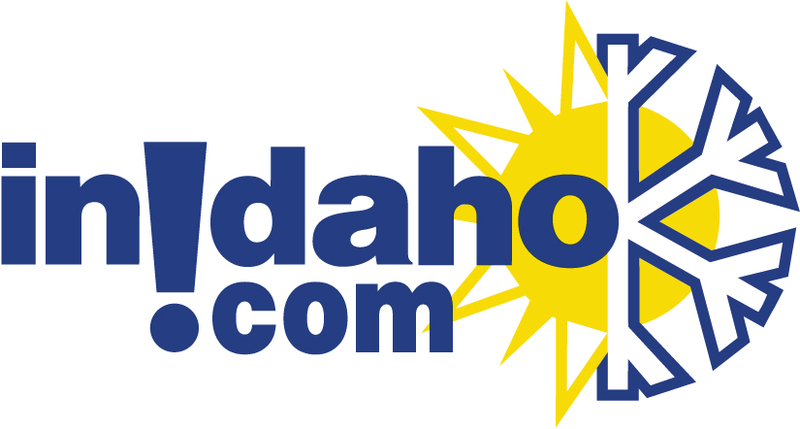 For more information call 208-255-3063. Open Friday and Saturday evenings with rail slides and fun boxes. Please call 208-255-3063 for more information. 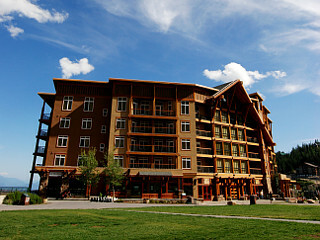 Schweitzer's newest on mountain lodging. 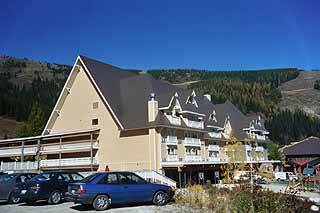 The Selkirk Lodge hotel is located at the base of Schweitzer Mountain. 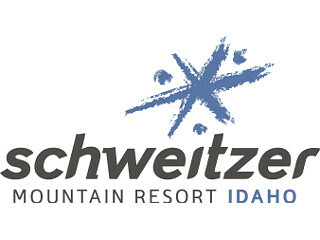 Please note: Guest reviews may mention certain amenities that may no longer be offered with Schweitzer. Please check the amenities prior to booking to confirm. "Our trip was special with all of our family together. Some went skiing and others went snowshoeing. We did not know that we needed to make reservations for the tubing, otherwise we had a great time." "I like smaller ski areas without all the "hype". The only problem we encountered was rain. We planned to ski three days, however, after the first day, the following two days were extremely wet."